I am the ultimate procrastinator. 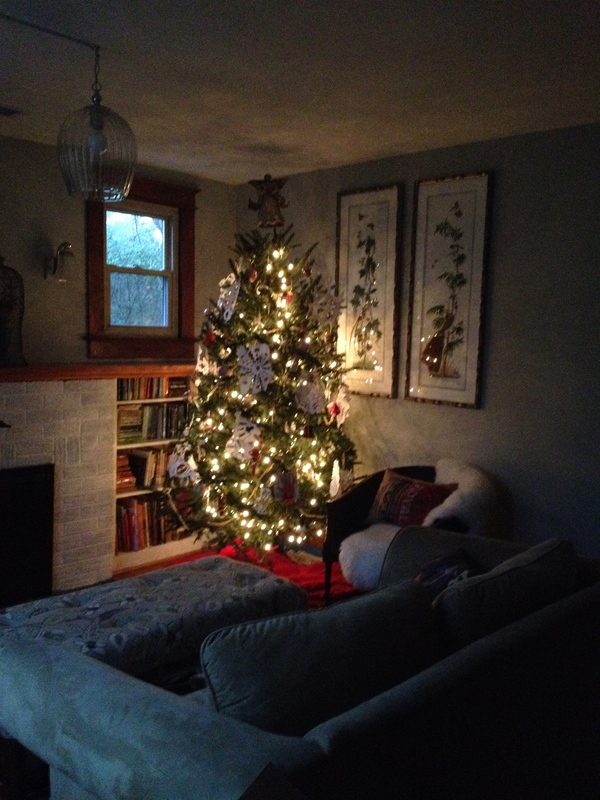 In the past, I have waited so long to put up the Christmas tree, I could have gotten it from the curb. Our family celebrates Christmas in January, so the prolonged season of “cheery holiday goodness” can last practically until Spring. This year, I have done it! Christmas by anyone’s calendar has not yet arrived. We have gotten creative with paper decorations because of the two-year-old force of destruction wandering around the house. 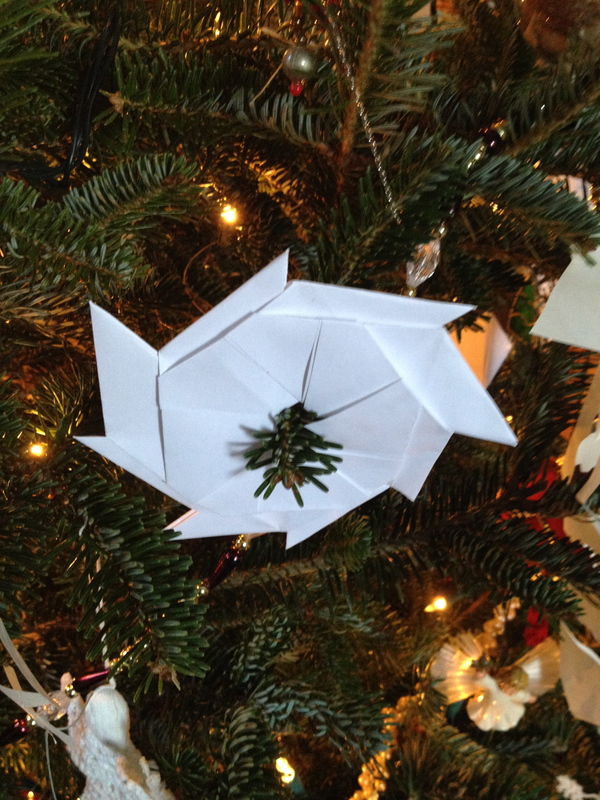 This may be the first tree ever to be decorated with origami ninja stars. The paper boats (or hats depending on how you look at them) and snowflakes are what started it all. 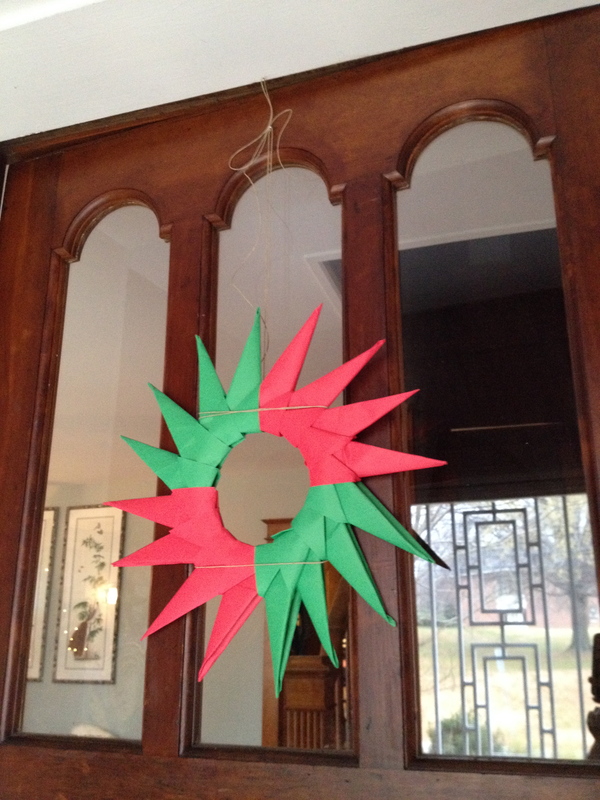 The older kids have gone completely crazy making wreaths and such from paper. This tree is so pretty! 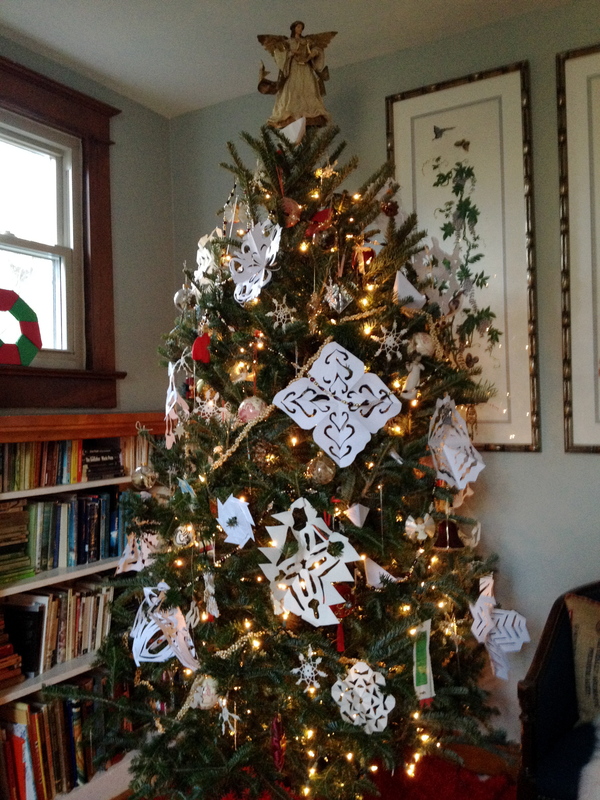 The snowflake idea was inspired by The Nesting Place, a blog I read periodically. She seems to decorate with paper because teenage boys may be just as hazardous to your decor as two-year-olds. I embraced the idea and left most of the glass ornaments in the box, perhaps until 2025. 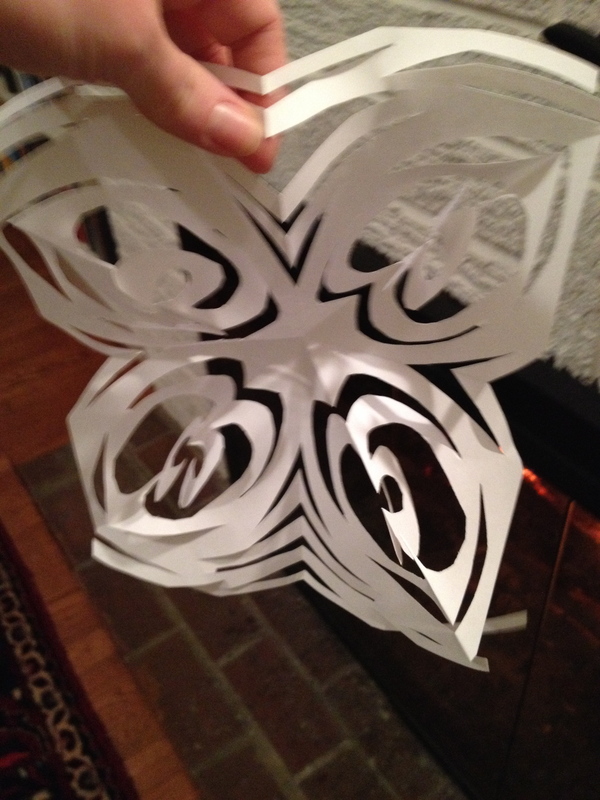 Here is a glimpse of what we have been up to, mostly just sitting by the fire and cutting paper snowflakes. It is totally fun in a retro sort of way. 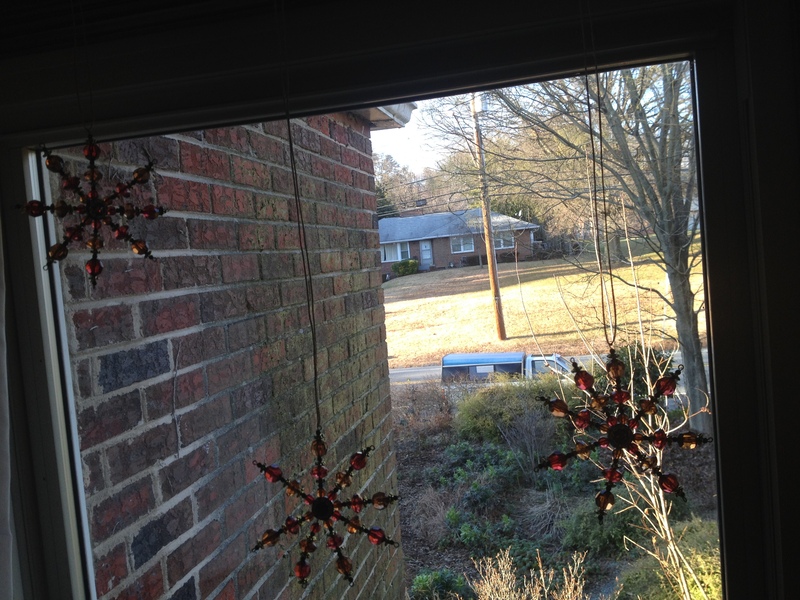 I added just a few sparkly ornaments and hung the beaded snowflakes in the windows. A nice view of our old truck. The quick rearrange of living room furniture to fit the tree in. I love it at night. ©copyright Mariam d’Eustachio 2013 at Simply Turquoise. 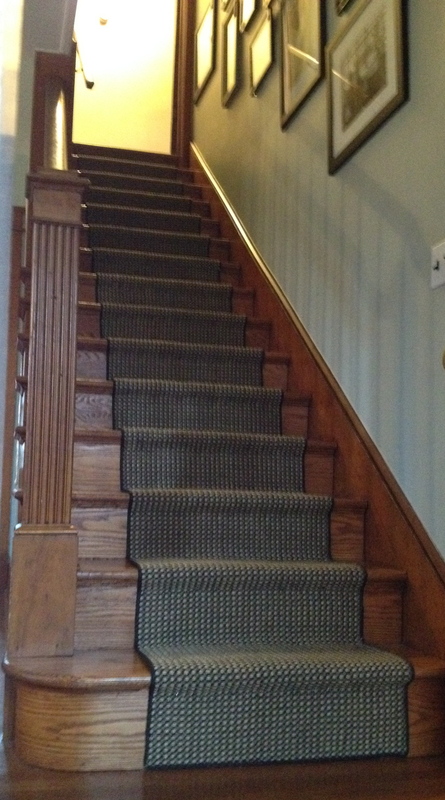 I wanted a runner on my stairs, but did not want to spend the money on a proper runner and rushed into it. 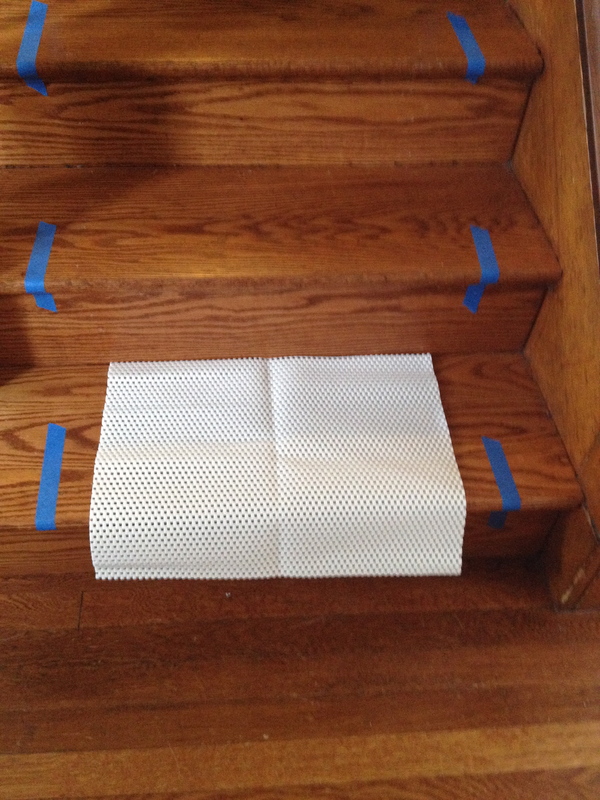 I nailed thin cotton runners to the stairs before I knew what I was doing, and it did not work. 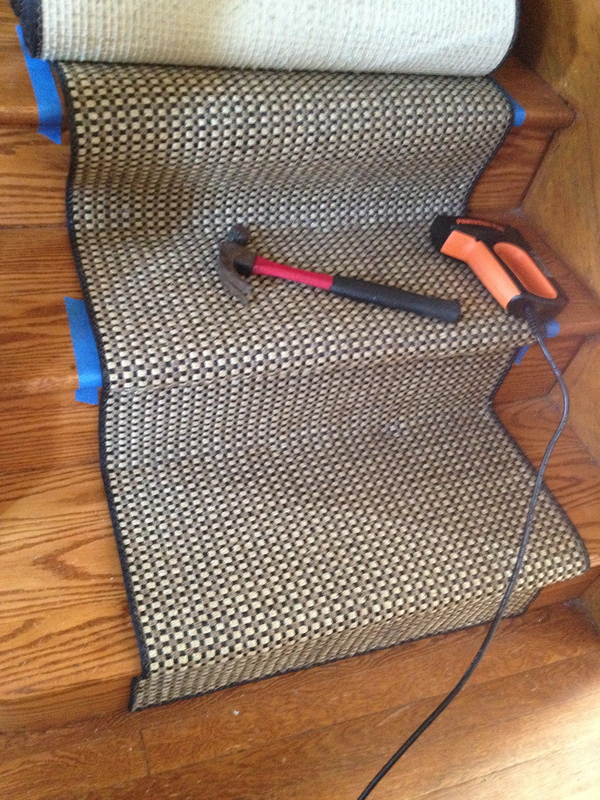 The material was too thin and it would not stay put and after pulling up the failed runner, I had large holes in the staircase. I bit the bullet and ordered a custom runner, made of a black and natural sisal weave with a sturdy backing, from Will’s Home Decorating. It ended up costing about $600 and took a long time for me to get it. 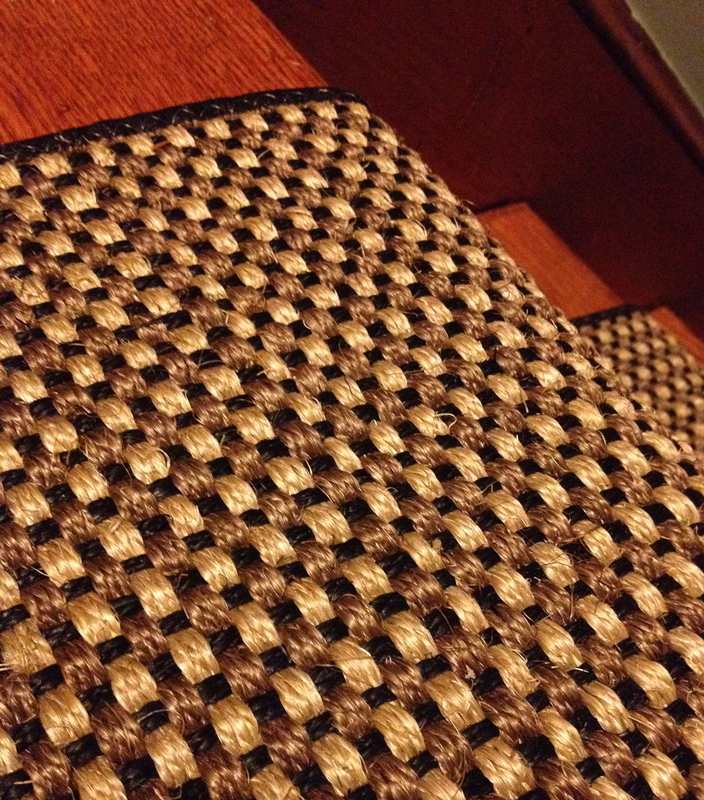 A black and natural sisal weave. By the time I got it, I felt defeated and did not want to try to install it on my own. I had done a bit of research and found this helpful tutorial from This Old House, but I was not ready to tackle the project. Hence the 11 months it has sat in my closet. Until recently, when my friend told me that Young House Love had just posted on stair runners. My first thought was, “I hate them! They are so industrious! Why do they always beat me to it?” Uncharitable thoughts I know. Of course, my carpet was still in the closet, so that should have been the first clue as to why they are more successful bloggers than I.
I actually read their post (found here) and it was quite helpful. They went through the steps more thoroughly and I was inspired to try again. With only two trips to the hardware store, I did it. All By Myself. At times, the oak staircase seemed to laugh at me, practically repelling the staples as I was trying to drive them in. Next time I install a runner, please let it be a pinewood staircase instead of oak. Oh man. 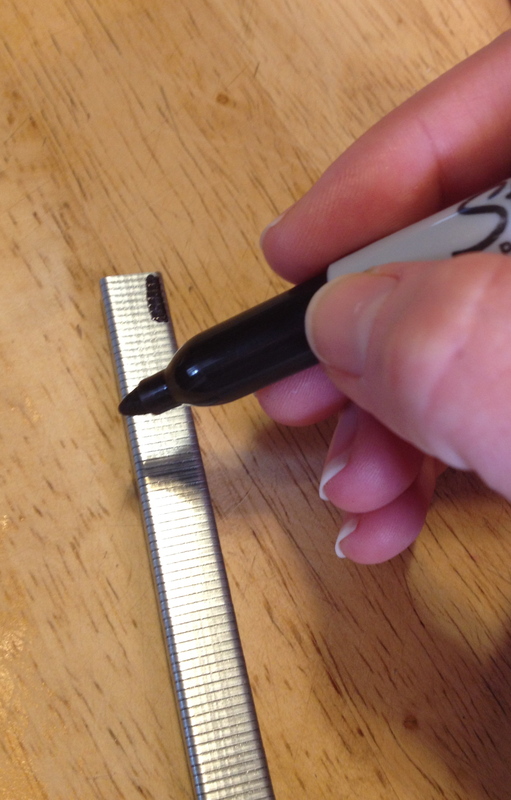 staples– this depends on how bulky your runner and padding are. I used ½” staples which were long enough to grip and go in, but not so long that I was not able to drive them into the oak at all. Measure the height of each riser and the depth of each tread. 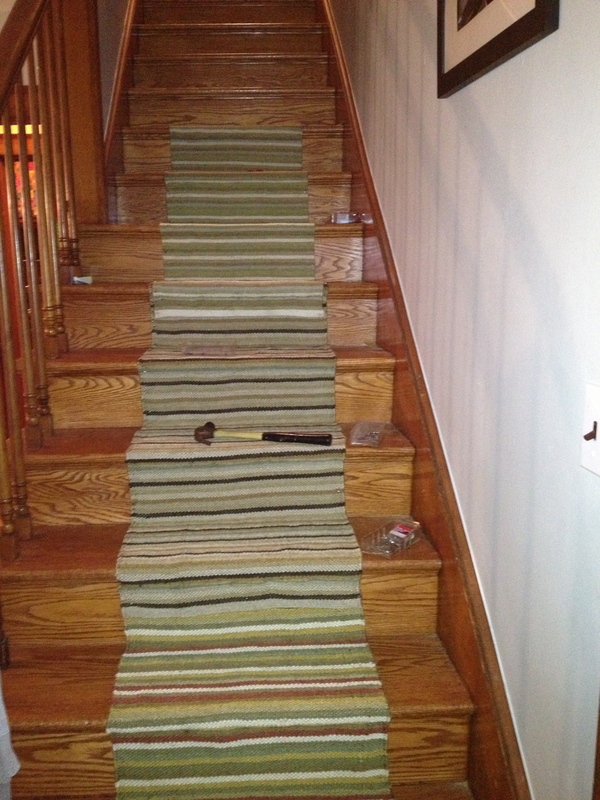 Add this together to get the length of carpet needed and multiply times the number of stairs. Add an extra foot of length for overlapping any seams. 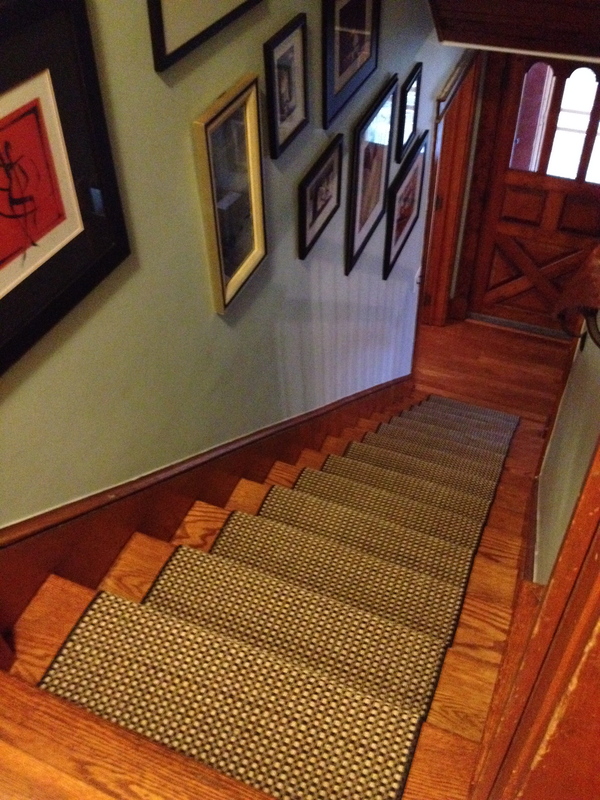 My stairs get wider at the bottom, so I had to center the runner at the narrowest point. 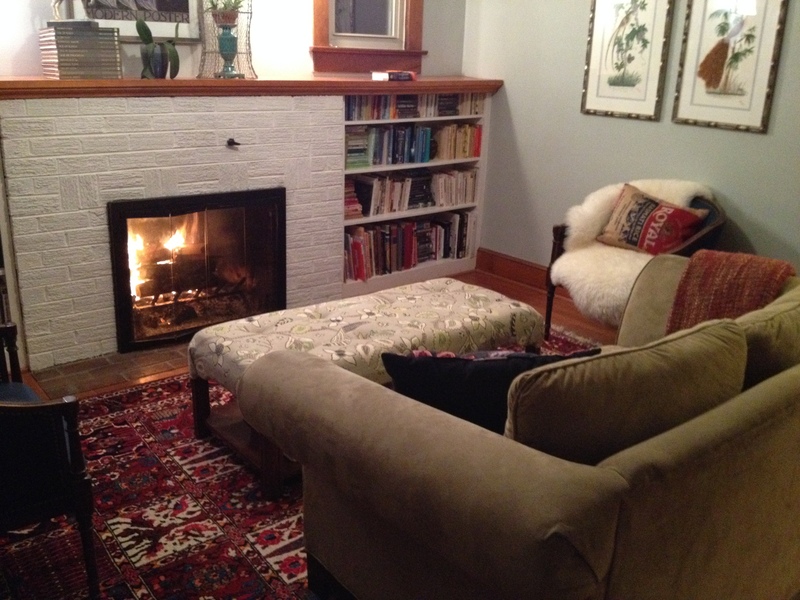 I marked the lines with tape where the rug would go, and made sure it looked straight. 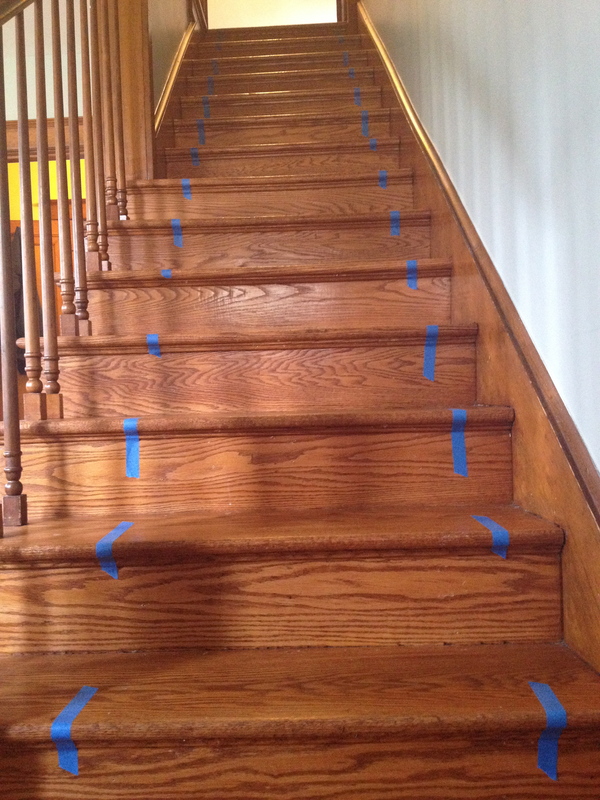 Use tape to mark the stairs. Cut the grip pads into sections and color the staples with Black Sharpie. A genius idea by the Young House Love team. I started at the bottom of the staircase and stapled the runner on the riser and under the bull-nose. I did not staple the treads, except at the very back, as close to the riser as possible, to secure the rug. I had to put some muscle into it and briefly wished Stuart was not at work. Stapling was the hardest part. My runner was in two pieces, so there is a seam. I lined up the second piece under the first piece and stapled it down. I then trimmed the first piece of carpet with scissors so it would end just under the bull-nose and stapled it over the second piece. This made the seam less obvious. 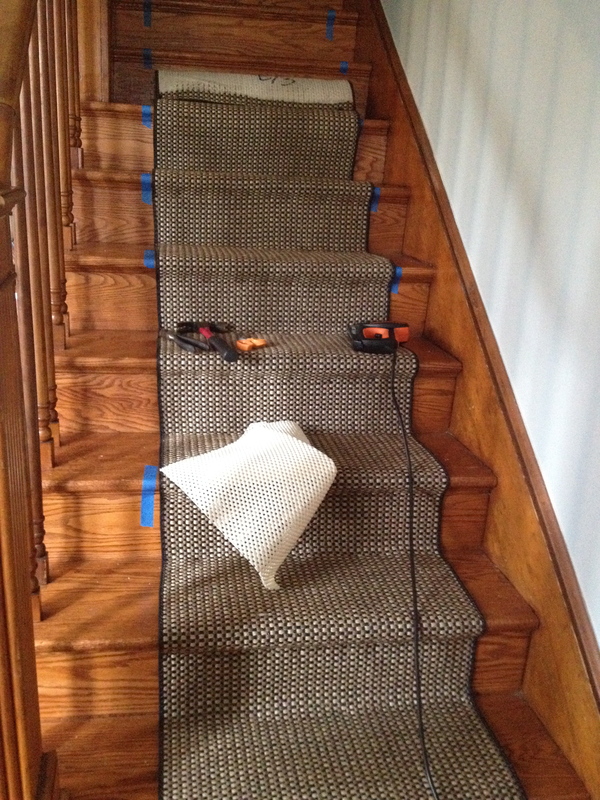 I then continued up the stairs with the second piece of carpet. 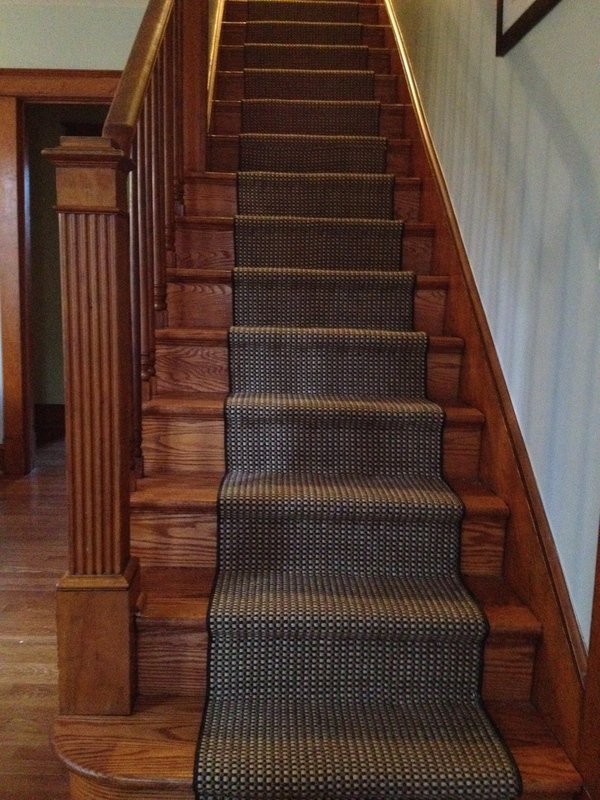 At the top, I trimmed the carpet just under the bull-nose of the top step and stapled it in place. 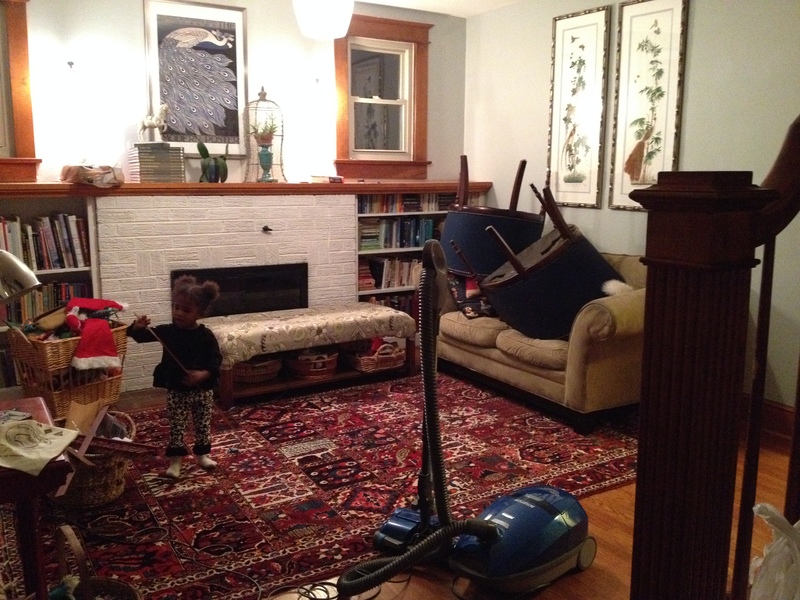 The rug in two pieces. I was able to finish in an afternoon. Today I am taking Ibuprofen and trying not to walk past the staircase every 5 minutes to admire my handy work. It feels good. It feels sturdy. The decibel level of the children going up and down has dimmed to a quiet thumping. I only wish I had not waited 11 months to install it. ©copyright 2013 Mariam d’Eustachio at Simply Turquoise.